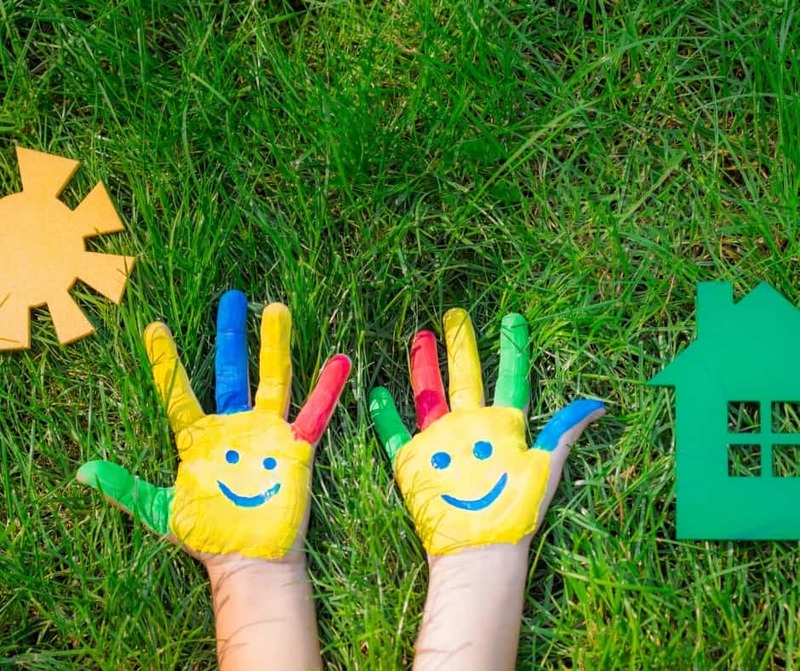 Earth day crafts for kids are a great way to celebrate the world and also talk about taking care of it. 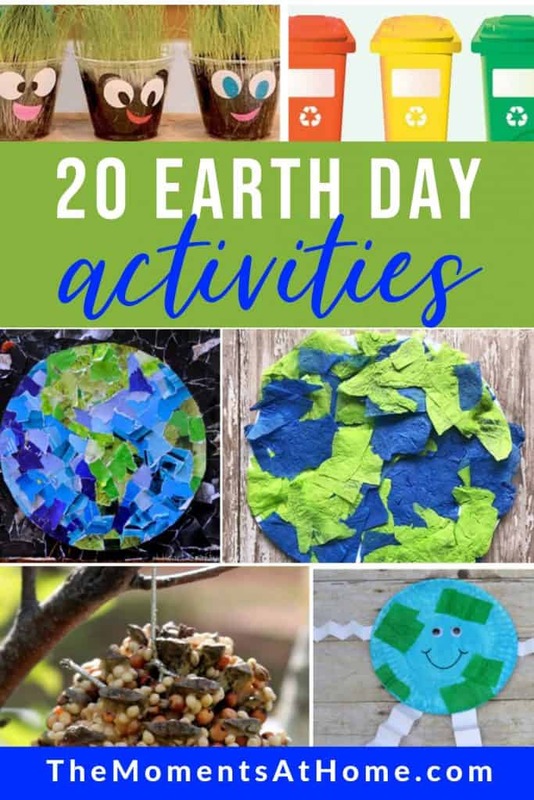 These Earth Day crafts are for preschoolers, kindergarteners, and younger elementary school children. Taking care of the earth and learning about it is important. The Earth is our home and all politics aside, we need to take care of our home! These activities and crafts are a wonderful way to talk about this with your kids. There are so many ways that we can take care of the Earth and that can be somewhat confusing for little kids. With younger kids it’s so much fun to teach using books or hands on activities so that they can see with their hands and understand! 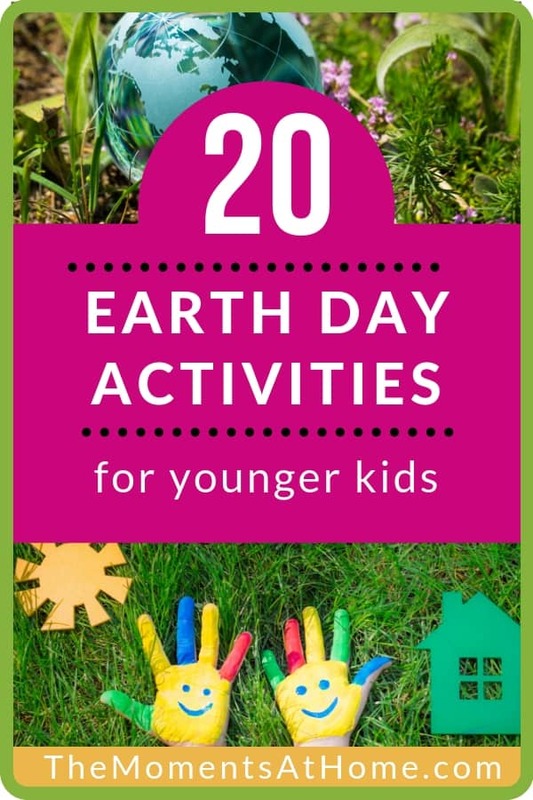 These 20+ Earth Day Crafts & Activities for kids will help them understand the importance of taking care of the earth and why we do what we do. Pressing tissue paper is a fabulous way to reuse tissue paper instead of throwing it away. This earth craft from Play Dough & Popsicles is fun for kids of all ages. This little earth guy from The Resourceful Mama is so cute and what a fun craft for kids to create and add their own personality to. Kids can add their own designs and patterns on this coffee filter craft by About A Mom to make a beautiful watercolor-esque earth. It’s been said that love makes the world go round, right? This sweet heart & handprint earth day craft from Crafty Morning is perfect for spreading love. Add your child’s own special touch by adding their picture with this ‘holding the earth’ craft from Proud to be Primary. This earth art from I Heart Crafty Things is beautifully created with scraps of torn paper. Not much else portrays earth month like reusing paper and turning it into something beautiful. Make some music with this fun and creative xylophone for your garden. Get your hands in the dirt, make your instrument, and enjoy hours of fun. Another great idea is to go to your local nursery and pick out some seedlings and plant a bee-friendly garden or perhaps a butterfly patch. This also makes a marvelous service project to do for an elderly neighbor who would enjoy the view of cheerful flowers from the kitchen or living room window! Look at these adorable plant people from Stylish Trendy. The faces can each be different and after the plant grows, the hair can be too! Earth wouldn’t be the same without animals. These Pine Cone Bird Feeders from Mom Wife Busy Life are a great way to encourage bird watching. This super cute herb planter from Reading Confetti is a perfect way for kids to get involved in gardening. Bring the outside in with these Nature Bookmarks from Outdoors Mom. Not one bookmark will look the same with this beautiful process. These paint brushes are not your average brushes, they are nature paint brushes, from Messy Little Monster. Just imagine the beautiful art that can be created with these! A fun I Spy with a Recycling theme! Recycling has so many benefits and this printable is a great way to introduce this to kids! Teaching about recycling is important and can be fun. This printable recycling game from Adventures in A Box is perfect for this! This beautiful earth day art from Laugh Paint Create is created from recycled materials. Kids can search the recycle bin and create beautiful garden art. 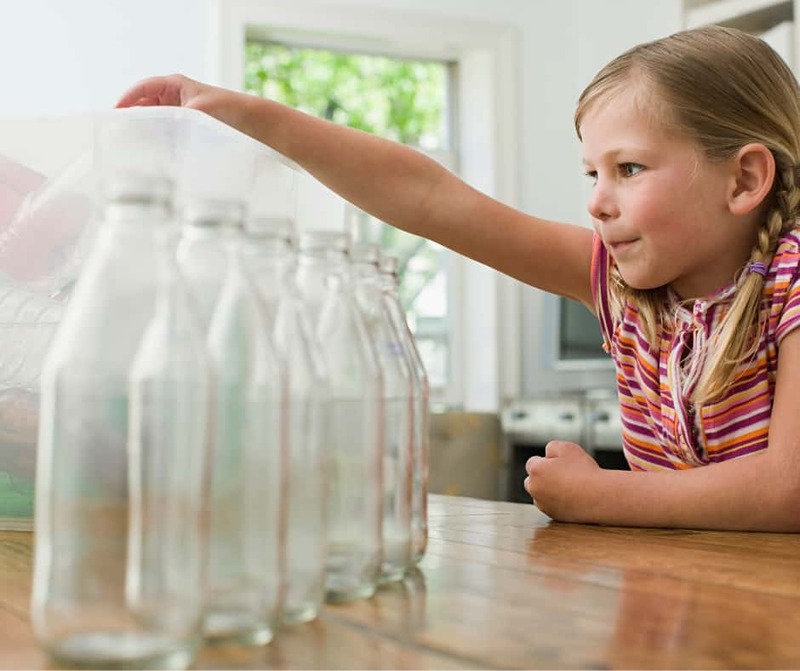 You kids learn best by doing and this recycling activity, from Pre-K Pages, is a fantastic hands on activity to help children understand all about recycling. Another recycle sorting activity but in a condensed form. This sorting printable from tot schooling is great for a simple activity to explain recycling. Play dough is one of our favorite activities to customize for holidays and special seasons. This earth day play dough from Happiness Is Homemade is just plain awesome! Recycling is fantastic and creates jobs. With this community helpers sensory bin from Where Imagination Grows, kids can learn more about what this job entails. This Earth Day inspired sensory bin from Fun-A-Day is the perfect colors to depict the earth. Using shredded paper on it’s own is recycling, or reusing, but this fantastic sensory bin from Little Bins for Little Hands teaches about the process as well. Making your own paper can be a fun activity on its own, but this wildflower infused paper from Hearth & Vine is gorgeous! Earth Day is a fantastic opportunity to teach children about the earth, nature, and recycling. This can be done in fun crafts and hands on activities that not only keep their attention but help teach them as well. Which activity will you be doing?